While iOS 12 may slightly disappoint those who were hoping for newer, flashier and more exciting features this year, the update still offers quite a generous assortment of under-the-hood enhancements, ironically rendering the software build one of Apple’s most powerful, secure, and promising yet. Among over a dozen other things, iOS 12 most notably ups the performance of older Apple devices, including the iPhone 5s, iPhone 6, and iPad mini 2, substantially. Apple has created an environment where the majority of active iOS devices — including some 5+ year-old models that are presently discontinued — will be able to run similarly on the same platform, utilizing the same UI and taking advantage of the same new features in iOS 12. According to statistics presented during its WWDC keynote speech, a whopping 80 percent of Apple’s products that run on the company’s mobile operating system have so-far installed the latest version of iOS 11. 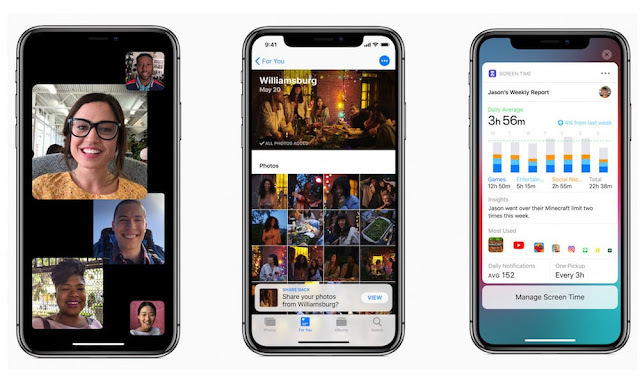 And while it’s safe to assume there will exist a fair share of operational disparities between a 5-year-old iPhone like the 5s and a brand-new iPhone X, what’s most fascinating about the iOS 12 update is that it shows without a doubt how much close-knit control Apple has over its software and hardware — and, more to the point, how seamlessly they’re designed to work, perform, and deliver moreand more with every passing year. This is in stark contrast to competing platforms like Android, where according to metrics made public by Google’s own Play Store, only 6 percent of active smartphones are running the latest version of Android 8.0 Oreo. Meanwhile, devices like the Samsung Galaxy S4 from 2013, which was meant to compete directly with Apple’s iPhone 5s, are still stuck running Android 6.0 and will likely never receive another update with new features or security patches. It appears that with iOS 12, Apple has built a product capable of withstanding the tests of time and technological evolution. The company built a mobile operating system capable of running to a sufficient extent on technically antiquated hardware. And that’s definitely something they should be proud of. As the cost of a smartphone continues its ascension past the $1,000 threshold, Apple should be exceedingly proud of its product, and the longevity thereof, as users become increasingly more aware of where true value in mobile technology lies. Interestingly, this year’s new iPhone models aren’t even expected to cost as much as iPhone X — though they’ll be even more capable and well equipped. Regardless, the average person thinking about spending $800-900 or even $1,000 on a new smartphone wants to know their investment is going to last for a long time to come. Luckily, with iOS 12 on the horizon, you can go out and drop big bucks on a brand-new (or even few-year-old) iPhone model knowing that it will.